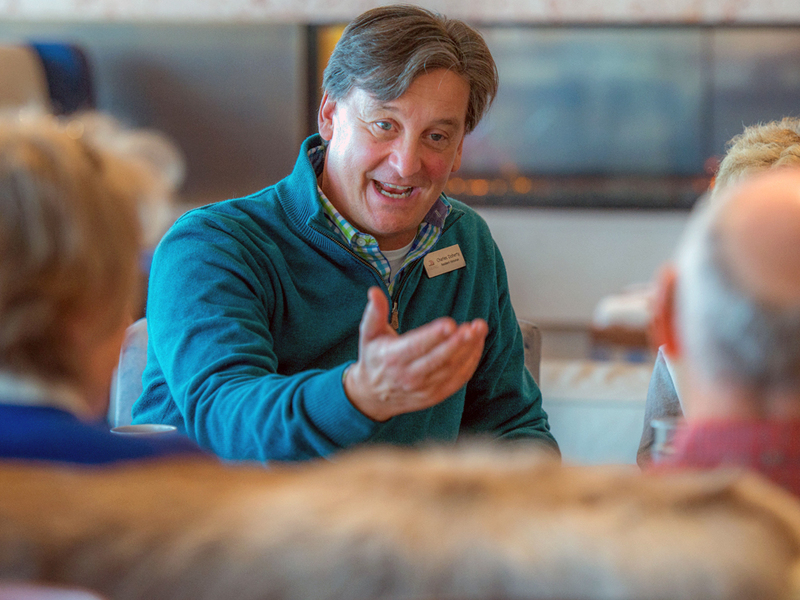 Viking Cruises just issued a press release announcing its new onboard Viking Resident Historian program. A select cuculty of historians will be onboard Viking’s ocean cruise ships to provide a new level of enrichment for guests. Viking offers what it refers to as “the thinking person’s cruise” for discerning travelers as an alternative to mainstream cruises. A new video on the Resident Historian program is available on the Viking website. Along with this destination driven learning, the ships are small to get guests closer to world culture and their destination. There is more time in port, more overnights and fewer days at sea. The program will provide guests with a high-level historical and cultural education specific to each journey. It will offer a framework for understanding the major chapters in world history. The Viking Resident Historian lectures are exclusively produced by Viking under the direction of Dr. Charles Doherty, Chief Viking Resident Historian. The core iconic lectures remain consistent throughout the fleet regardless of which Viking Resident Historian is lecturing. This will include seminar-style roundtables that provide more direct access to the historians with smaill group discussion forums. The Viking Resident Historians have a range of areas of specialty and experiences. They will examine in-depth subjects related to their own area of specialization and delve into the particular areas of interest of the guests. The Resident Historians will be accessible throughout the ship. This learning experience will be supplemented by onboard Guest Lecturers who contribute their particular regional expertise in areas such as art, architecture, music. As with other onboard lectures, the Viking Resident Historian series will be presented in the Theater. It will also be filmed and available on the in-room entertainment system. In early 2018 it will be available in its entirety on-demand through the in-room entertainment system on all Viking river and ocean ships. 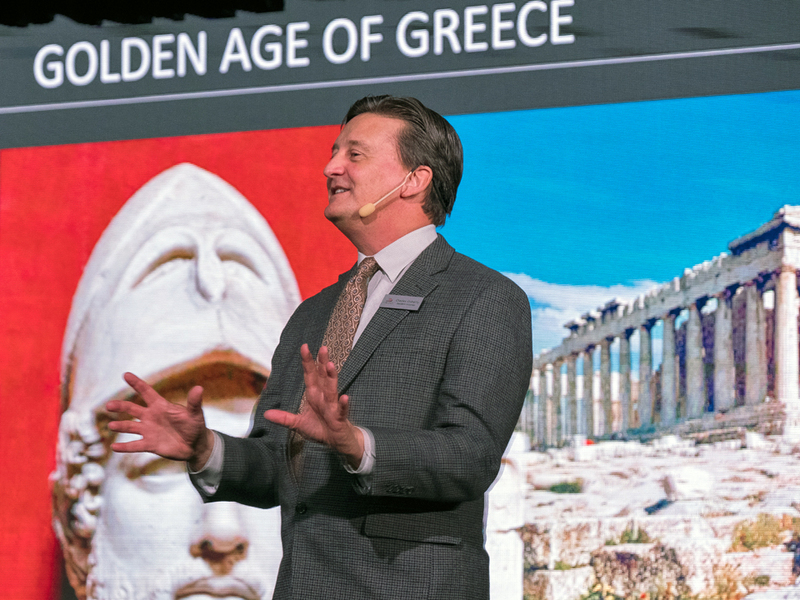 Charles Doherty, PhD, has lectured in more than 60 countries for The National Geographic Society, the Smithsonian and the American Museum of Natural History. He received his doctorate from the University of Wisconsin–Madison and attended the Courtauld Institute in London as a Fulbright Scholar. Viking Ocean Cruises was rated the #1 ocean cruise line in Travel + Leisure’s 2016 “World’s Best” Awards. It was also rated the top cruise line in the 2015 “World’s Best” Awards.